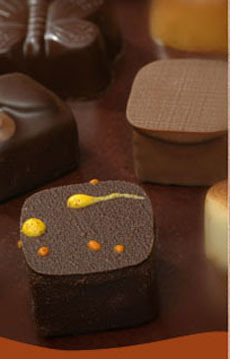 Bonbons from Minneapolis chocolatier B. T. McElrath. He also makes great toffee. While all of the products reviewed on TheNibble.com are wonderful, these are the best gourmet food and beverage products. This index lets you find the Top Pick Of The Week recommendations—what we think are the very best gourmet foods—by type of product. You can also find THE NIBBLE’s Top Pick newsletters by manufacturer’s name. You can use this index to find the best gourmet food gift recommendations. Also look at our Gift Finder for other gourmet gift and product recommendations. © Copyright 2005-2010 Lifestyle Direct, Inc. All rights reserved. Images are copyright their respective owners.